I have nothing but good things to say about this business. As a woman I always feel at a disadvantage with all things car related -especially repairs. I used to bring my car to dealerships but after a few bad experiences I was looking for a new place. One day someone crashed into my car in the parking lot of my office which is about 1 block from Boyd’s. I brought it there for the convenience – they did a great job – my car looked brand new! Since then I have brought my car in for oil changes and always ask Bob to look the car over and let me know if anything needs work. He has never come back and told me that something was wrong. This would be the perfect opportunity for him to gouge me if that were his nature. Thank you Bob for your professionalism and honesty – it has made all the difference in how I feel about having my car serviced. My Granddaughters 1990 Toyota Camry was towed to Boyd’s Body shop, per a recommendation. I found out after her car was towed, she had only liability insurance. I was shaking in my boots, I knew this was going to cost me. Bob, the owner, first was so kind to me. He itemized the parts, along with his costs for labor. After starting the work, they discovered they would have to get a bumper for her from the junk yard (they had to go twice). Long story short, her car was pretty beat up, banged up here and there. The car was given to her originally in POOR condition. Everything I asked Bob to fix, they took care of, and more. They replaced the battery and cables, the car looked practically new. I know the labor was way more than what Bob stated it would be. He was careful to keep my cost down, and he delivered the car in such excellent condition. My granddaughter said all of the shaking was gone. 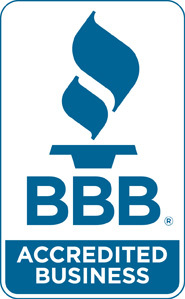 Thank you for excellent customer service, and for repairing my granddaughters car. I can breathe easier, because I know she is safe. Bob and his crew are great, he always goes out of his way to make auto repair economically fair and the service is spot on. I have been going there for the past 5 years, having needed both major and minor work done – nothing less than the best job from these guys. Even if I didn’t live just blocks away, I would make the trip to Boyd’s. You sir, have a lifetime customer. Bob at Boyd’s is incredibly honest, loyal, respectful, and generous. Who would ever think that could describe someone in the automotive repair industry?! We’ve brought our cars in to him for both big and small fixes and regular maintenance for years and have been 100% satisfied. We’ve never left without feeling well-attended and that he’s given us a generous discount. My husband feels we have saved us thousands over the years by going to Bob. I’ve now referred family members and friends and they all have thanked me for doing so. Boyd’s is a very well run shop and well-deserving of the loyal customer base Bob and his team have fostered. I have taken my 1991 Nissan Sentra to Bob at Boyd’s for about 3 years now. I went there for the first time based on a recommendation from a friend. Since then, I’ve had 4 major repairs done here, and am very, very happy with the service. Boyd’s does good quality work, and prices are reasonable. The customer service is excellent; Bob has always gone out of his way to take good care of me and my car, and I’ve greatly appreciated his honesty, and his explanation. I have recommend Boyd’s to all of my friends, and several have gone there and also like the service. I just wanted to thank you again for the excellent job you did on my 1994 Mustang convertible. I also really appreciate your running interference with my insurance company. I would not hesitate to recommend Boyd’s to anyone, and encourage you to use me as a reference. On time, on budget, and as good as new! I’m writing this letter to express my appreciation. In the last couple of months you have worked on two of my cars. You did body work, engine and also clutch repairs. Your customer service was outstanding and your service of the car was excellent. I would recommend anyone to your shop because you are very honest and fair. Overall I give you a rating of A+. I will continue to come to you in the future for my automotive needs. 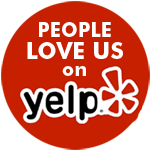 FOR MORE REVIEWS PLEASE VISIT OUR YELP PAGE or our BBB page.